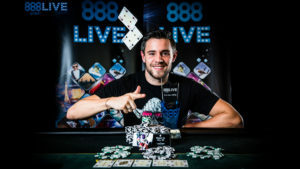 888 Poker Review - Read our Trusted Expert Review 2019 | Is 888 safe? 888 Poker used to be known as Pacific Poker, but it’s been operating under its current brand for a number of years. Our 888 Poker Review shows our honest opinion about the benefits and disadvantages of playing online at 888 Poker. This site happens to be one of the three largest poker sites on the planet, and they combine a quality gaming experience with some of the most reliable software and customer service in the industry. Like any business, 888 Poker has its pros and cons. Internet poker is relative because hundreds of online card rooms compete for business. In such an industry with dozens of key factors, competitors inevitably will have some advantages over any given brand. Below are a list of the relative advantages and disadvantages you’ll encounter when choosing 888poker over the rest of the competition. Legit Poker Site: The 888 brand is one of the Top 5 online gambling companies, with reliable payments, player liquidity at a global level, and state-of-the-art software and ID verification technology. $88 No-Deposit Bonus: 888poker has the biggest no-deposit bonus among the top online poker sites, with $88 free play cash to play Texas Hold’em before funding your account. Full Range of Poker Events: 888 Poker has a huge community of poker players, so it has a comprehensive schedule of daily poker events: sit & go tournaments, MTTs (multi-table tournaments), heads-up poker tournaments, and poker satellite events. Huge Weekend Tournament Schedule: The weekend schedule has the kind of guaranteed prize pools card players search the Internet to find. The Mega Dozen, the Mega Deep, and Turbo Mega Deep are the big Sunday guaranteed tournaments, while The Whale, the Hurricane, and the Typhoon are the high roller events. Each high stakes tournament has satellite events throughout the week, so players can win their way into big events for as little as $5 buy-in fees. 888poker Club Free Events: 888 Poker has freeroll events for new depositors and loyal members as well. Each new depositor receives tickets into two $1000 freeroll events, which happen twice each week (you have a month to redeem the ticket). The 888poker Club has a 10-tier free tournament schedule, ranging from $50 to $10,000 prize pools. 888 Poker also has random events throughout the year, such as the Tweet-for-a-Seat $888 guaranteed events. $400 Welcome Bonus: 888 Poker’s $400 welcome bonus is nice, but several online poker rooms have higher first deposit bonuses. Players should read through the wagering requirement and the terms and conditions page because all $400 deposit bonuses are not the same. Limited U.S. Real Money Poker: Due to the UIGEA, only residents of New Jersey, Nevada, and Delaware can play at 888 Poker in the United States. Americans can create an account anywhere in the country but need to be within the boundaries of those 3 states to play for real money. Because Pennsylvania passed an online poker bill in October 2017, a casino operator in a fourth US state likely will launch 888 Poker in 2018. Identity Verification Process: Some players have complained that the safety measures taken in the identity verification process are too much. 888poker’s safety standards are stringent, meaning players will have to provide more verification paperwork than other card sites they might use. It’s for your own good, but 888 customers on Ask Gamblers complain about these safety measures more than anything else. Fewer Poker Promotions: 888poker has few poker promotions than some other top mobile poker rooms. Players who want to see big daily and weekly promotions might not like the setup at 888poker. One reason this happens is 888poker has a bigger list of weekend tournaments than many competitors, so some of the sweet offers are baked into the 888 Poker’s Sunday events calendar. 4 Table Limit: Players are limited to playing on only four tables at once. If you are the type of card player who prefers to play a dozen hands at once, you might find this restriction to be trouble. I would not recommend beginners to play too many games of Texas Hold’em at once. Can You Trust 888 Poker? Is 888 Poker safe? The answer to both of these questions is a resounding yes. While some of their Poker competitors have encountered scandals or legal trouble over the years, 888 has always managed to operate without any major incidents. They’re also traded on the London Stock Exchange, which means they have to answer to shareholders who won’t tolerate any sort of behavior that might cause stock prices to fall. 888 is especially dedicated to combating collusion and incidents of multiple accounts. These violations are dealt with decisively when they arise, and the site employs a top-flight team of technicians to protect personal data and account information. 888 Holdings, the parent company of 888poker, is listed on the FTSE 250 Index in the United Kingdom, meaning it is one of the 101st to 250th largest corporations in the UK. By one estimate, 888 Holdings is the fourth-largest online gambling company in the world, so it is established, trusted, and reliable. The site (888 Poker) has won a number of prestigious online gambling awards. From 2011 to 2013, 888poker won the EGR Best Poker Operator of the Year three times in a row. EGR, arguably the most prestigious awards ceremony in the online gambling industry, also awarded 888poker with the 2012 Best Gaming Product prize and the 2010 Socially Responsible Operator of the Year award. The site also has a solid record when it comes to paying players in a timely fashion. While less reputable poker sites and casinos like to drag their feet in the hopes that a player will give up and gamble with their requested winnings, 888 Poker initiates the payment process as soon as you ask for it. 888 offers a range of banking options for customers, but the most common include Western Union, bank transfers, checks, credit cards, or e-wallet services. The most popular way for players to deposit at 888 are Neteller, Skrill and PayPal. Withdrawals can be obtained from the same sources, although there’s also the option of getting a check in the mail via a courier. Electronic checks are also available. No matter the size of your requested withdrawal, 888 begins the process within a few business days. You should only expect a delay if they don’t already have the necessary documents to verify your identity, but this process is quick and painless. 888 Poker has a tremendous number of deposit methods. The full list of deposit methods includes Visa Credit, Visa Debit, Visa Electron, MasterCard Credit, Maestro Debit, Apple Pay (UK only), iDebit, Neteller, PayPal, Postepay, Skrill, WebMoney, Wire Transfer, and Qiwi Visa Virtual. Thus, the list should also be considered 888poker’s list of withdrawal methods. The deposit methods at 888poker that do not work as a withdrawal method are Bank Transfer, Boleto, Diners Club Credit, eps, Giropay, Trustly, Todito Cash, Nordea, Op-Pohjola, Verkkopankki, PaySafeCard, Przelewy 24, Sofortuberweisung/Sofortbanking (Sofort), Transferencia Bancario, Citadel Instant Banking, Instadebit, Multibanco, Visa QIWI Wallet, Astropay, and Yandex.Money. Given the fact 888poker is active in over 150 countries worldwide, not all payment methods are available in all countries. For instance, MasterCard acts as cashout method via BACS for UK-issued cards, but cannot be used for withdrawals under other circumstances. 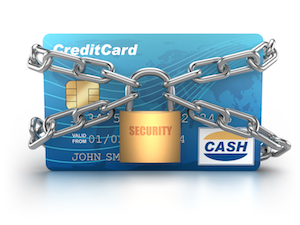 888poker uses 128-bit encryption technology for transactions, so 888’s security and credit card safety protocols are world class. As noted in the drawbacks section above, 888poker customers complain that 888 demands a lot of identification and the added security measures can be inconvenient sometimes. That is preferable to a mobile poker site which places speed and ease-of-use over security. If it’s going to take an extra 12 hours to verify my identity before you wire me thousands of dollars, by all means, take the extra time. The only major mark against 888 is its poor support. Player emails to customer service have been known to encounter incomplete or useless answers. Some issues require multiple attempts to resolve. This problem occurs at the international and US ring-fenced sites that operate under the WSOP.com brand. If you have a question, the best place to start is the robust FAQ section provided on their website. Failing this, you can contact a customer service representative by email, toll-free number, or live chat. I especially like this last option, as it cuts down on waiting by allowing the player to immediately get in touch with someone. It also allows you to take a moment and compose each thought, which is a major advantage over a phone call. Customer support is below average at 888. Poorly trained representatives can give incorrect responses or not fulfill requests for players. This can be annoying as it may require multiple attempts to resolve an issue at 888. The quickest way to submit complaints to 888 Poker is to use the online 888poker Contact Form. The contact form for US players is US 888poker Contact. Those wanting to contact 888poker customer support via email should use either support@888poker.com or Operations@cassava.net. 888poker does not post a phone number for US or international players, though its sister site, 888casino, posts the number +350 40617. The phone number of 888poker’s parent company, Cassava Enterprises, is +350 20049800, while the fax number is +350 20048280. If you’re searching for a massive selection of poker games, then you may want to look somewhere else besides 888. Their site is a definite case of quality over quantity, as they’ve decided to offer fewer games and focus on making the available selections among the best in the industry. Each game also utilizes state-of-the-art security software to ensure that every hand is played with an emphasis on fairness. Texas Hold’em – No poker game has been talked about more since the turn of the century than Texas Hold’em. Two to ten players compete in a hand, and they must navigate four betting rounds in order to capture the pot. The objective is to create the best five-card poker hand possible using a combination of two pocket cards and five community cards. 7 Card Stud – Played by two to eight participants, this has been considered one of the most popular versions of poker for years. Up to five betting rounds take place, with the player trying to build the strongest hand possible by using five of the seven cards they’re dealt throughout the game. 7 Card Stud HI/LO – Similar to 7 Card Stud, this variation also allows players to create a low hand in addition to their high one. A player who manages to build the best of both wins the entire pot, while otherwise it’s divided equally among two individuals. Omaha High – Played by two to 10 individuals, this poker variation challenges you to make the strongest five-card hand possible by using two of your five pocket cards and three of the five community cards. Up to four betting rounds are included. Omaha HI/LO – This game is contested between two to ten players and includes four rounds of betting. The goal is to create the highest and lowest five-card poker hands by using a combination of their four pocket cards and five community cards. Considered challenging and multi-faceted, this game has grown in popularity throughout the U.S. and abroad in recent years. Now that we’re familiar with the specific games offered by 888 Poker, let’s take a look at the different formats available from the site. Ring Games – Tournament chips are worth nothing outside of their individual game, but that’s not the case with ring games. Each chip represents real money, and you have the option of leaving the game anytime you wish. Another difference is that table limits remain the same for the duration of play. Tournaments – A large number of players sign up for a tournament and then slowly get eliminated as the game progresses. In a rebuy tournament, a player is allowed to buy their way back into the game after being busted out. No matter what the mechanics, the last player remaining wins the biggest piece of the prize pool. Table limits increase as the game progresses. Face2Face Poker – If you’re tired of staring at a poker table filled with player avatars, give this innovative type of game a try. Face2Face uses the same poker rules that you’re familiar with, but it also incorporates webcam technology to display the real players on the screen. If you’ve ever wondered what the average poker player in France looks like, here’s your chance to find out. There’s plenty of free money to be had at 888 Poker, and it all starts with a 100% initial deposit bonus up to $888. This amount must be completed within 30 days, and it’s released to the player in installments of $10. While this isn’t as convenient as most players would hope for, you can blame bonus whores for the site’s cautious approach to free cash. The bonus clears at a rate of 20% rakeback. Players in some countries may receive a free $88. This offer involves $7 in tournament tickets, $1 in cash and $80 in pending bonus. 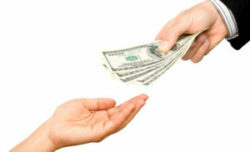 The pending bonus follows the same terms as the first deposit bonus. Each time you play in a cash game, you’ll also earn Status Points and Reward Points. The latter can be converted into cash over time, while the former allows you to rise in the overall VIP rankings and become eligible for more points and exclusive prizes. 888 does not permit traditional rakeback. There are a number of other promotions and bonus amounts offered throughout the year, and there are honestly too many to describe in the allotted space. Check out 888 Poker and click on the Promotions tab for a full list. 888 Poker tournaments are known for their diversity and generosity, and you can expect to find them being offered on a daily basis. The bigger tourneys occur on specific days of the week or month, such as the $10,000 Big Sunday event. Another Sunday event features a guaranteed $100,000 prize pool, and there are nightly contests that range from $5,000 to $25,000. If you don’t want to pay the entry fee for these events, you can always try to win your way in by entering a satellite tournament. These are available in a number of denominations, but some can be joined for as little as a penny. Another plus for 888 Poker tournaments is the amount of fish you’ll find entering these events. Fish are defined as weak players, whether they lack experience or just play too fast and loose with their money. In either case, getting involved in a game with this type of player is always a real boon for your chip stack. 888 Poker Software – Is It Worth It? 888 Poker’s software is the 888 Holdings proprietary software poker platform. 888poker runs on the 888 Poker Network. Players can bet on poker using either a poker software download on their desktop computer, or they can play without the use of the download with instant play software that opens the game in the web browser. The 888 Holdings software is highly regarded because it is used by hundreds of B2B websites which are not owned by 888 Holdings. In all, the software brand which powers 888poker is used on 279 gambling sites worldwide. Players with devices powered by iOS or Android are able to enjoy mobile poker thanks to their downloadable software. This includes everything from cash games and tournaments to sit and go events. The online software does offer more bells and whistles than the mobile option, but the latter is still more than sufficient. The mobile app only offers Texas Hold’em. There is no ability to game select in the app. Players can only sit at one table at a time on the 888 app. 888 Poker is one of the oldest online poker sites in the world. The site launched in 1997 as Pacific Poker by Cassava Enterprises. In 2002, Pacific Poker changed its name to 888 Poker, often spelled 888poker. Since its early days, the site has been licensed by the Gibraltar Gaming Authority, while its offices are located in the British crown protectorate of Gibraltar. 888 Holdings is 50% owned by Avi Shaked through family trusts, while Shay and Ron Ben-Yitzhak each own 11% of the company, also through family trusts. The remaining 28% of the company is owned by shareholders, because 888 Holdings is listed on the London Stock Exchange. Because it is publicly traded, 888 Poker releases quarterly financial reports. Its 2012 financial data showed that the company’s revenues increased greatly in 2012, so it jumped from the 4th-largest to the 2nd-largest online poker company in the world (second only to PokerStars). 888 Holdings has had a sterling reputation throughout its history, growing naturally, instead of through mergers and acquisitions. Because of its history of organic business growth, gaming analysts tend to consider 888 Holdings and its many brands (like 888poker) to be undervalued stocks. 888 Poker is, therefore, one of the oldest, most trusted, and legitimate poker sites on the Internet. If you live in the United States, any attempt to access 888 Poker will result in you being redirected to their site that’s been approved for residents of New Jersey. This’s because 888 Poker has been licensed for legal use by anyone within the borders of New Jersey, but it’s still unavailable to the other 49 states. The only exceptions are free poker games, which are readily available to anyone with a connection to the Internet. 888 powers WSOP.com in New Jersey. The two sites share player pools. 888 operates the Delaware online poker site. It networks with WSOP.com in Nevada.